You can rest assured that whether you’re looking for residential or commercial window tinting, you’ll experience improved temperature control, increased energy efficiency and better glare reduction. What Is Window Tinting? How Does It Work? Window tinting is an adhesive film applied onto windows that acts as a filter to repel ultraviolet (UV) rays and prevent them from passing through the glass. Window films can be applied to various surfaces to serve a variety of functions suited to your needs, including glare and heat reduction, security and safety film, anti-graffiti film or frosted film for privacy. Window tinting and window films are becoming increasingly popular in Adelaide as more home and business owners learn about the financial and environmental benefits to their properties! Window tinting insulates glass surfaces to prevent heat loss in winter and retain cool air in summer, reducing energy costs. The window film blocks UVA and UVB rays, protecting your property and household/business items from sun damage and lengthening their life. It will also help you to save on maintenance costs like painting, recarpeting and installing new blinds, as they will be more durable while protected from the harsh sun. Window tinting and films have become increasingly sophisticated over the years, meaning that their design has evolved to the point where you can barely notice the difference once the film is applied — there’s no chance of the film distorting your view, changing colour or bubbling up on the window! Our quality window films have been designed with the Australian climate in mind, meaning it can withstand intense heat and won’t peel off your windows. Tints can be custom fit to any window or surface you desire and fit in to the aesthetics and style of your business. As a business owner protecting your shopfront is extremely important to protect your brand and reduce the risk of unexpected damage and costs. Glass surfaces such as shopfronts, warehouses and offices are more frequently becoming targeted by vandals, causing huge damage to local businesses. A popular option among many Adelaide businesses to protect shopfront windows is an anti-graffiti window film. An anti-graffiti window film is a layer of film applied to the window, either on the exterior or interior, to provide a ‘sacrificial’ protective layer that can be scratched or damaged without the damage reaching the valuable glass of your window. It protects your windows from the surface damage of graffiti, texta and other markings and provides an extra layer of strength, reducing the likelihood of the glass being smashed by thieves or vandals. Replacing or cleaning window glass each time it is damaged, graffitied or smashed can be extremely expensive, cause considerable disruption to your business operations and cause significant brand damage. An anti-graffiti film can be peeled off each time any damage is done, for a fraction of the cost of installing new glass, potentially saving you thousands. The film can be installed and replaced extremely quickly, meaning you can get on with your usual business operations. Damage, graffiti and scratched windows or other surfaces can cause damage to your reputation and brand, which is your livelihood in the business world. A smashed window can ruin the aesthetic and image of a retail outlet for hours—in which time potentially hundreds or thousands of customers will see the damage—until the glass is replaced. If your windows are protected with anti-graffiti film, signs of vandalism can be removed extremely quickly by peeling off the damaged film to help your business maintain its reputation. Anti-graffiti window film is clear and distortion-free, so it won’t affect the appearance of your window glass. It’s invisible to passerby, meaning both customers and vandals won’t even know the film is there. Having an invisible layer means vandals won’t attempt to peel it off and scratch the underlying glass surface. If they do vandalise the shop front, they’ll move on without knowing the damage they’ve done will be peeled off quickly and easily. The anti-scratch window film allows easy removal and replacement as needed. The film is comprised of advanced technology adhesives so it can be removed and replaced in a fraction of the time and effort required to replace glass. Anti-graffiti window film will come with lifetime product warranty guaranteeing your film and window will be well looked after. Your warranty will cover removal, installation and replacement should the original film be affected by normal wear and tear. Anti-graffiti window film is extremely energy efficient, blocking 99% of damaging UV rays. It will help you to maintain steady temperatures within your business location and ensure affordable energy costs. Anti-graffiti film can be installed in a huge variety of businesses, including offices, warehouses, retail outlets, pharmacies, petrol stations, private transport vehicles and buses. It can be implemented in a large variety of ways—you might want it installed to protect the glass walls of your office building, bus shelters, window graphics, mirrors, surfaces in retail and public facilities, street-level glass applications or any other valuable business assets that are easily visible and accessible to the public. retain warmth in winter and keep the cool in summer. You’ll be comfortable year-round. At least a third of all energy used to heat and cool homes and businesses in Australia escapes through the windows, which is an incredibly waste of not only energy, but money. Much of this energy loss occurs due to the effect of conduction between the cold outside air and warm inside air in winter. In the summertime, the opposite occurs. Climate control film can help keep your business comfortable all year long. A unique window film can be applied to increase the insulation value of your windows. It “thickens” your window, meaning a single-pane window can become as effective as a double-pane window. The film is invisible and the the look of your window will barely change at all from the inside or out. Simpler and more affordable than replacing your windows, climate control window film is an efficient, cost-effective way to meet your window insulation needs. Climate control window film is perfect for colder areas in the Adelaide region (such as the Adelaide Hills and Barossa Valley) where the colder winter temperatures draw out heat from buildings through the windows. This energy loss can be countered with other methods, like heavy curtains or roller shutters, but this will mean you won’t be able to enjoy the view out of your window—and if you have a business, you can’t afford to have your windows closed up to clients! Accredited Window Tinting offers a great range of energy efficient products to help improve the temperature control and comfort inside your business. You can explore our options at our display centre, or call and arrange for one of our consultants to meet with you onsite to find the right solution for you. Safety window films can prevent harm to your family or clients in the event of an accident. Quality safety window films hold window glass in place in the event of smashing and safely contain any glass shards. It is ideal for protecting your family in the home. We specialise in assisting daycare/childcare facilities to install the required safety window films to ensure they are meeting legislative requirements. Accredited Window Tinting provide films with superior optical clarity, advanced adhesives and high impact resistance. Our window films are scratch-resistant and reject 99% of harmful UV rays. 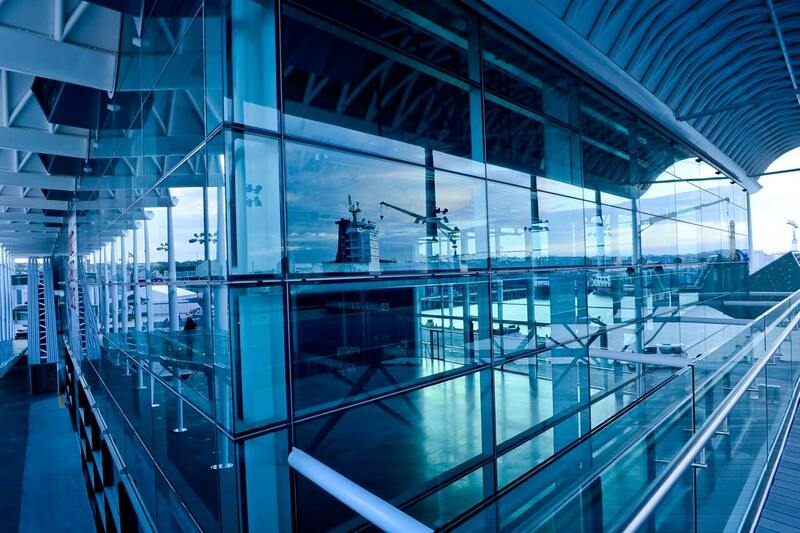 A safe, cheap alternative to fitting laminated safety glass, safety window films can be installed in new constructions or retrofitted depending on your individual needs. They come in a variety of shades, ranging from clear to tinted. Ensure your glass is safe for everyone by installing a safety window film in your home or office. 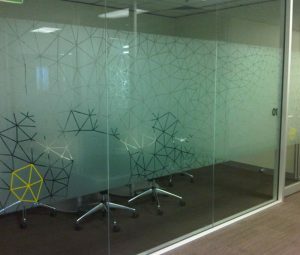 Frosted window films are a cost-effective way to improve the aesthetics of your business or office and provide increased privacy between rooms. Quickly and easily applied, a frosted window film can be applied accurately to a huge variety of glass surfaces. Window films are available in different patterns with varying levels of frost or matt density, to vary the amount of privacy within a space. They utilise modern adhesive technology, ensuring fast, accurate and durable application within your business. If you’re looking for an idea to brighten up your interior design, there are a variety of decorative options available to transform any stretches of plain glass into a beautiful design. If you’re after interesting tex tures, frosted glass films can be finished with the look of cut of textured glass — at a fraction of the price it would be to install the glass itself. There’s a huge range of options available, differing in style, opacity and translucency, so you can tailor your design choice to your individual preferences. The degree of privacy and transparency of the frosted film can be altered to suit your needs — just let us know at Accredited Window Tinting what your needs are and we can suggest the best option for you. Frosted window films doesn’t sacrifice natural light, so your space with retain the same levels of brightness before and after installation of window film. 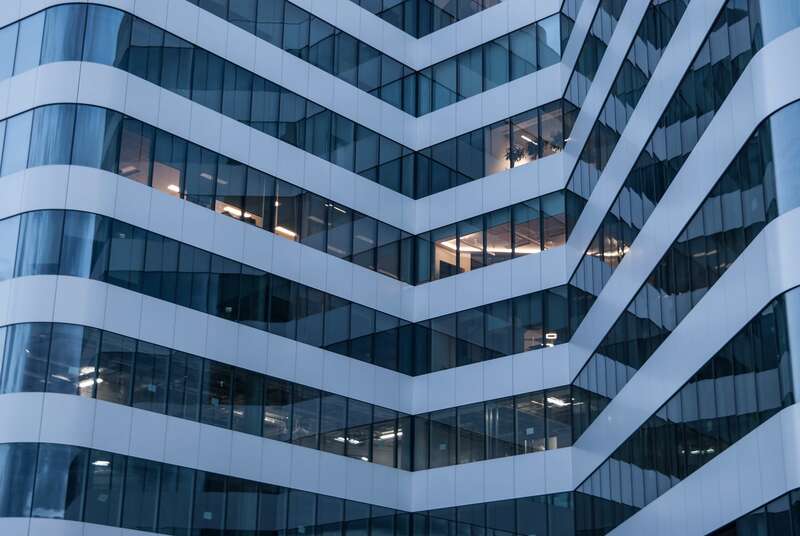 Frosted and decorative films reduce harmful UV rays by up to 99%, and will assist you to decrease your energy costs by improving the temperature control within your workspace. A popular idea with Adelaide businesses is using window film to create an inviting interior by using white frosted film on small windows, such as sidelights, next to front doors. This provides privacy and increases security while continuing to let in natural light. 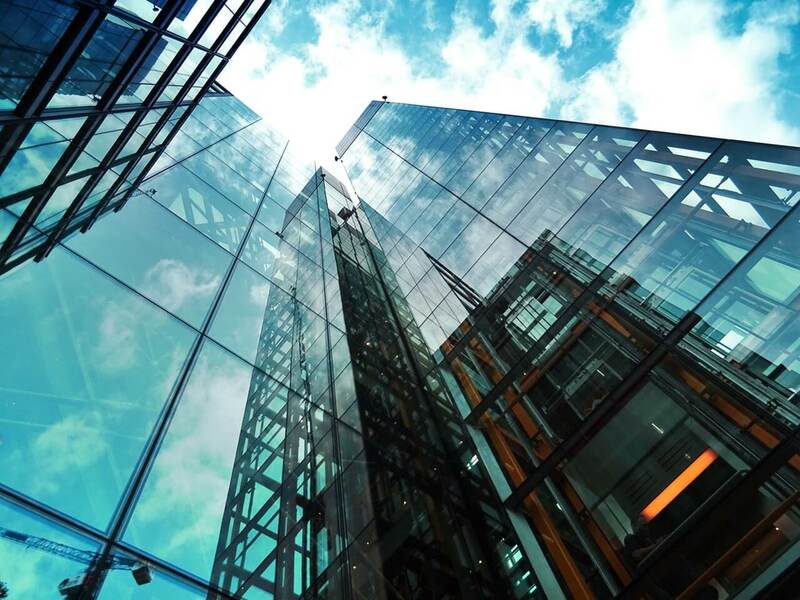 Reduce energy costs and improve the climate control in your business with Accredited Window Tinting’s range of sun and heat control window tinting options. Window films are often underutilised as a part of home furnishings. Adelaide’s sunny weather and warm climate mean you will enjoy the advantages of installing window film for protection from glare, UV rays and solar heat. You’ll have greater control over the temperature in your home, and notice your business becomes a much more comfortable environment. Accredited Window Tinting offers a complete range of heat control films that will help you to control the temperature in your home or business and keep energy costs down. Accredited Window Tinting offers 3M window tinting products with superior, cutting-edge technology and lifetime warranties. Accredited Window Tinting’s Sun and Heat Control Film products provide unmatched protection from the harsh effects of the sun. The window tinting blocks up to 97% of heat-producing infrared rays and up to 99% of damaging ultraviolet rays. Having these rays come into your home or business on a daily basis can fade fabrics, window treatments, wooden floors, and furnishings. Traditional window films tend to act like mirrors, which is a major drawback, as the reflection can give homes the look of an uglier commercial building. Traditional window films can make it difficult to see outside, especially at night, when interior lights are on. Accredited Window Tinting’s range of window tinting films use advanced technology to offer great heat blocking technologies without these types of mirror effects. By choosing our window tinting films your windows will be kept looking great and work to protect your business from harmful heat. 1 Window tinting isn’t modern and will look terrible on my windows. Window tinting has developed over the years and these days windows with tint on them can’t be told apart from windows without! Older versions of window film may have had problems with reflection and peeling, but thanks to better technologies these troubles have been eliminated. Many businesses are choosing to have window tinting applied to their retail settings as a cost-effective method of dealing with issues such as vandalism, design and climate control. Window tinting can be invisible, or, if you’re after decorative options, it can be a great way to add slick designs to your business space. We guarantee it will look great! 2 Window tinting will make my business space too dark! The technology behind window tinting has come incredibly far since it was first developed, and many of the issues that once existed no longer do! Traditional tinting from many years ago may have noticeably impacted the levels of brightness within your home, but today’s window tinting technologies cause no such trouble. Modern window tinting can be applied with very little impact on the level of brightness in your space—making it an ideal way to solve a whole host of problems like temperature control and glare control—rather than creating them! 3 Window tinting will kill my indoor plants! Window tinting has very little impact on the levels of brightness in your space, so you can rest assured your plants will be fine. If anything, they’ll be better off protected from the extreme heat and sun we get in the Adelaide summer! Your plants may experience an adjustment period after the window tinting as they adjust to slightly different levels of rays and heat coming in, but it’s more likely there’ll be no effect at all. 4 Window tinting will make my windows too shiny and reflective. Older tinting methods may have caused this appearance, particularly if they were installed in close proximity to certain styles of energy-efficient lighting. Extensive research and technology development over many years means this shiny appearance no longer occurs with modern window tinting—so you can cross this worry off your list! If you’re after a transparent film, your windows will look exactly the same after application! The cost of tinting your windows is extremely affordable and cost-effective. In many cases installing window film will save thousands of dollars that would otherwise be outlaid to replace broken glass, pay for inefficient heating and cooling, or remove graffiti or other marks of vandalism. Many Adelaide businesses find the expense of tinting and applying films to their windows can be recouped after just one year through the savings earned through their utility bills, the longevity of fixtures of furnishings, and avoiding glass breakages and glass replacements after vandalism. Tinting an entire business space is more cost-effective than you’d think. The cost will depend on the size and number of windows you would like to have tinted. Costs will also depend on the type of film you would like to have fitted — whether it’s a heat protection film, anti-graffiti film or frosted film— as costs vary depending on the technologies incorporated into each film and the differing manufacturing processes. You can speak to our consultants at Accredited Window Tinting to get a specific quote for your individual space. Insulating window films in particular are an extremely cost-effective tint to apply. The cost savings you’ll enjoy as a result of energy savings and reduced heating and cooling costs will mean it pays for itself in a short period of time. Before installation please note that costs can be incurred if your windows are dirty, as this will mean we will have to clean your windows before applying any tint or film. We recommend you clean your windows before installation! Tinting your windows may seem like an expensive and complicated task, but we hope this guide has helped you to understand that it’s actually incredibly quick and simple with a long list of long term gains. An affordable window tint can save you money on energy bills, help the planet, protect you from glass breakage accidents and deter vandals, with very little outlay and effort. If you’d like to chat with a professional about your options and which tints would suit your business space, we’re always happy to consult with you to choose the right solution for your needs. Accredited Window Tinting consultants are trained in all aspects of our products and can help you to make the right decision for your business.